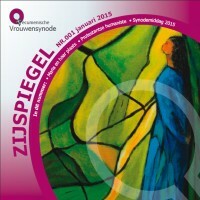 EPIL (European Project for Interreligious Learning) brengt vrouwen vanuit verschillende landen en verscheidene religieuze achtergrond samen voor dialoog, uitwisseling en empowerment. Als deel van het EPIL-project vindt op 3 oktober een mini-symposium plaats in Amsterdam. Amsterdam is a community of strangers. The vast majority of all its inhabitants had their roots abroad in the near or remote history. Being all strangers in a huge dynamic city, however, implies that it is quite easy to live in a small circle of like-minded people, and to ignore others. The easiest way out is all too often ‘Living Apart Together’. At this mini-symposium a group of three Amsterdam women are invited to react to questions concerning their religious identity and ‘self-image’, and about their experience of living in a ‘superdiverse’ city. They come from different backgrounds – Jewish, Christian and Muslim – and are all involved in interreligious dialogue and encounters. Is the city in their eyes indeed a community of strangers, or do they experience it in a different way? We will also join in singing songs from different traditions, led by Hanna Rijken.